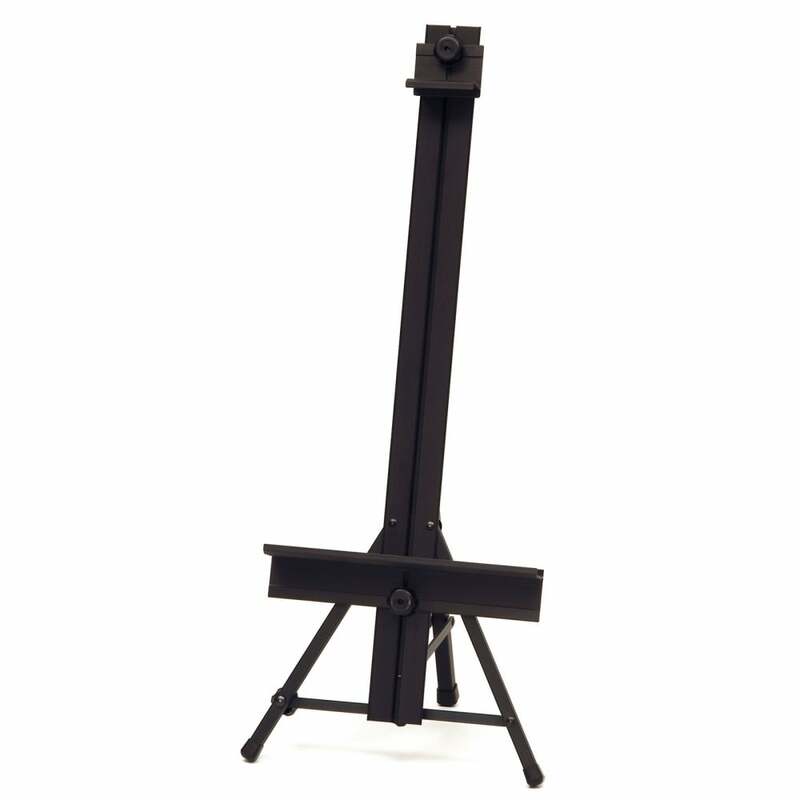 The Napoli Tripod aluminum easel has an angle adjustment range of 30 degrees and will take a canvas up to 27". The spacious material tray is idea for paint brushes and paint tubes, folds easy into a compact size convenient for transporting complete with a carry handle. Overall dimensions 32" x 13" x 11"